a good friend of mine makes this incredible strata. every time we hang out over at her house, i am always requesting she make it. it’s the recipe of a cousin’s brother’s mom’s best friends’ daughter’s sister (or something like that) and i was lucky enough to get a copy of the recipe. my copy is a photo i took with my phone of an email printed out on a piece of paper that you can tell has been used in the kitchen A LOT: crumpled, a little torn, and liquid spilled on it has caused the ink to run. 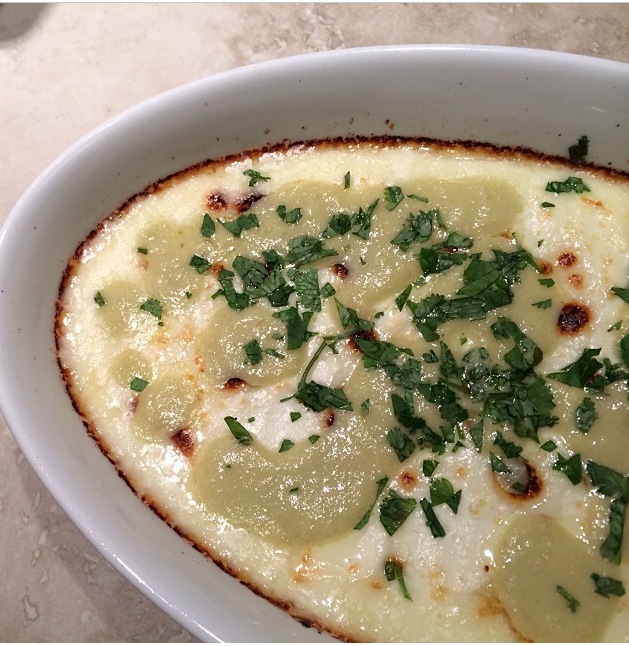 1. generously coat a 9×13 baking dish with cooking spray or olive oil spray. cover bottom of dish with tortillas, tearing tortillas to fit without overlapping. 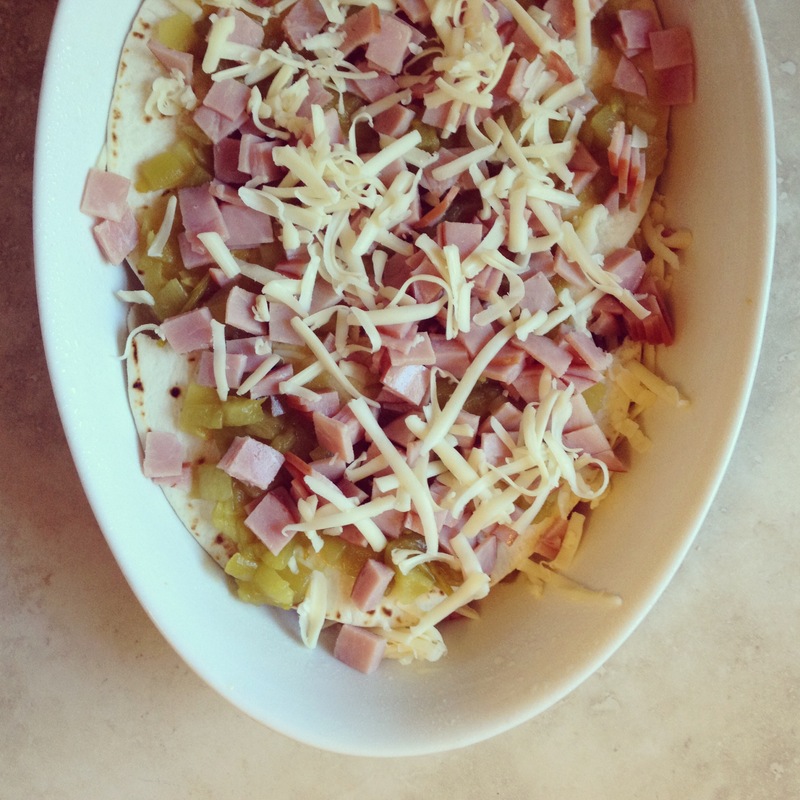 sprinkle with half of the chopped green chiles, then half of the chopped canadian bacon, and then half of the cheese. repeat layers once more, ending with the cheese. 2. in a medium bowl, beat the eggs. add milk and salt and whisk until combined. pour over the layered ingredients in the baking dish. place in refrigerator for at least 30 minutes or overnight. 3. preheat the oven to 350. bake for 50-60 minutes – strata should be slightly puffed and bubbly, and turning golden. let cool for 5-10 minutes before serving. **if you want to add a little heat, try using pepper jack cheese instead of the monterey jack – it’s SO good.